We have collected a lot of evidence from many customers now for whom the Airbus did not follow the route as entered in the MCDU. In the vast majority of cases this was caused by missing information. The users mainly forgot to enter the weights, etc. in the INIT B page. 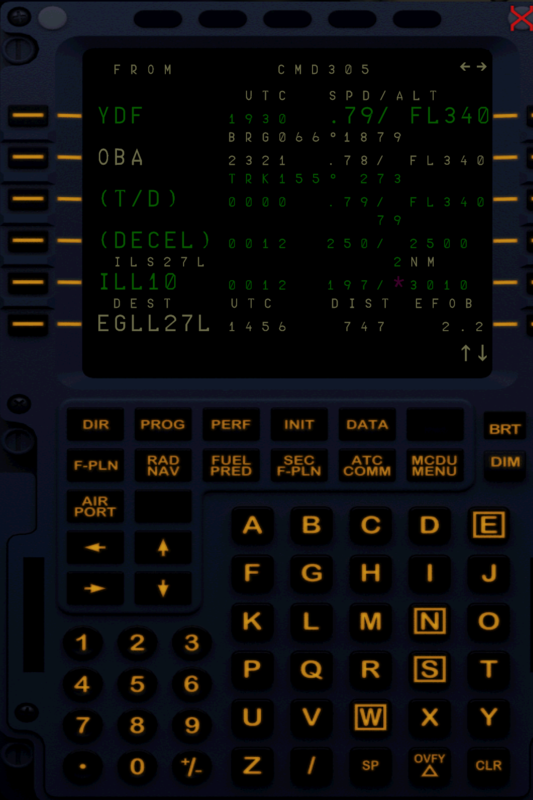 Note this is NOT a Boeing, the INIT page has two pages in an Airbus, INIT A, where you fill the route and flight related stuff, and INIT B where you put in the weights and fuel related information. If you start in a ready to fly state with the engines running the INIT B page will not be accessible anymore, but you can use the FUEL PRED page to insert your weights instead. 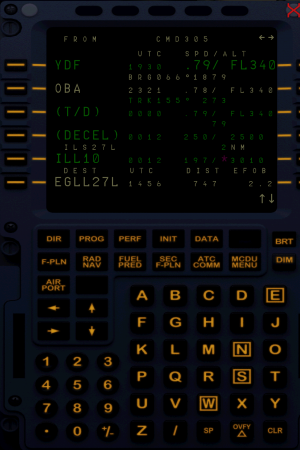 Please note that this is vital information required by the flight computers to be able to calculate your routing and NAV mode. Without it the Airbus might behave strangely. Haha, same happened to me right now. Thank god there's this forum with a lot of helpful information! Good landings to you all! Thank you for this information. This solved my problems too! I entered all the information required for the flight (everything under "FMGS Preparation" in the "Normal Procedures Document" and every single flight I've done the aircraft deviates from the route. Did you read Emi’s first post here? 129 pax, 1.9 tons of cargo, 6 tons of fuel, FL370, CI49 (EGLL/27R DET2F DET L6 DVR UL9 KONAN UL607 SPI UT180 PESOV T180 UNOKO UNOK2M EDDF/07R), nothing abnormal on the displays, the aircraft literally just turned a completely different direction from the route. BA A319 IAE engines. Ok, and where was the AC leaving the route? Please a screenshot in that moment with PFD, ND, MCDU (F-PLN). I will start a new flight now and I will comeback with all the info if the issue reappears. 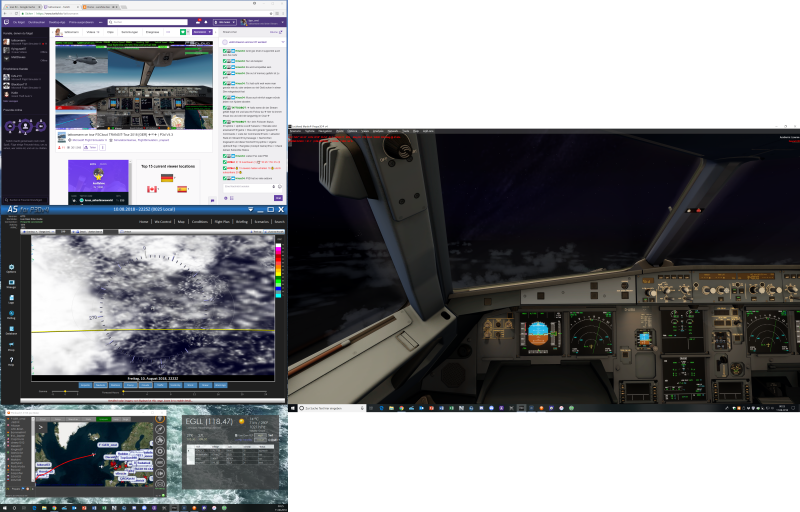 see my other postings from tonight ..
Not following flight plan again ..
deviation from flightplan route ..
To many attempts to get it working correctly following reading posts,Youtube etc. and still the autopilot does what it wants only within the Decent parameters though. Thanks a million for this post! I've always wanted to learn how to fly the Airbus but kept missing the second INIT page. Emanuel, thanks for the reminder and the note about the "FUEL PRED" page if the sim starts with the engines running. Much appreciated as the aircraft now follows the flightplan.